Mountain Quest Retreat is a three day program designed to include your 5th graders in an adventure to remember. Your students and chaperones will stay at the Blowing Rock Conference Center, while our facilitators lead all aspects of programming. We have specific Outdoor Education Retreat, called Mountain Quest. Mountain Quest is designed to align with North Carolina Curriculum Standards for Grade 5. The retreat includes 3 days of programming at the Blowing Rock Conference Center. Students have 6 different experiences spread out between the 3 days. These experiences include Group Interaction, Nature Art, Scavenger Hunt, Earth Education, High Ropes, and a values activity called Express Yourself. We provide evening activities for the students as well. One evening is focused on Appalachian heritage. Guest speakers are brought in to play music and talk about the history of their instruments and sound. 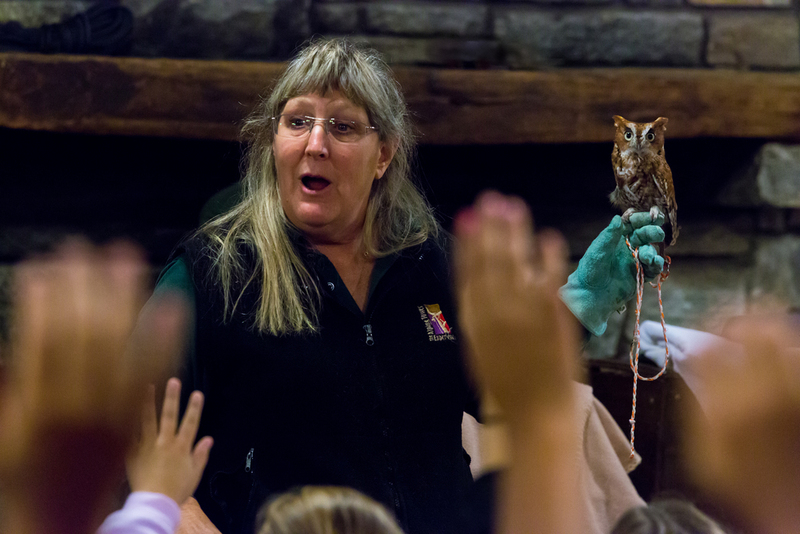 May Wildlife Center of Lees-McRae College spends an evening presenting rescued wildlife. Students learn about different animals and how the are rehabilitated through May Wildlife Center. Don't forget the smores! We also have a night around the campfire. Our facilitators' goal is to provide the best week of their lives. Talk with one of our facilitators today and find out how BRLC can serve your 5th grade class!